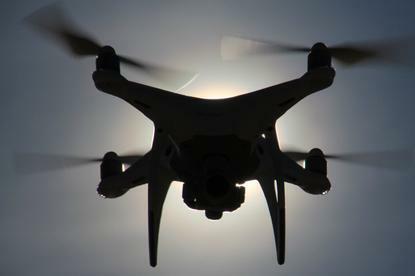 The New South Wales parliament has passed new laws banning drones from being flown above the state’s prisons. The NSW Legislative Assembly yesterday passed the Crimes (Administration of Sentences) Legislation Amendment Bill 2018; the NSW Legislative Council passed the bill last month. In his second-reading speech NSW corrections minister David Elliott said that the past five years “have seen the use of drones create a new threat to the security of correctional facilities around the world”. “In England and Wales there have been media reports of organised crime rings using drones to smuggle drugs, phones, weapons and SIM cards into numerous prisons,” the minister said. Victoria has introduced legislation to tackle the issue, the minister said. “It is clear that drones represent a threat to the security of prisons,” he added. In a statement the minister said that since January 2014, more than 60 drones have been spotted near or discovered in or near prisons. The bill bans the “possession of remotely piloted aircraft in correctional centres, correctional complexes and certain facilities within those complexes and children’s detention centres,” states its explanatory memorandum. It also bans the “possession and operation or attempted operation” of aerial drones “in certain airspace above those places and above land in the vicinity of those places in a manner that is likely to threaten the good order or security of those places”. The legislation banes drones from the airspace above detention facilities, as well as above the land in the immediate vicinity of a facility. Offenders could face fines as well as up to two years’ prison. The legislation also bans prison employees from intimate and sexual relationships with inmates and clarifies when “reasonable force” may be used against visitors to a prison, the government said.